The new tyranny in America. 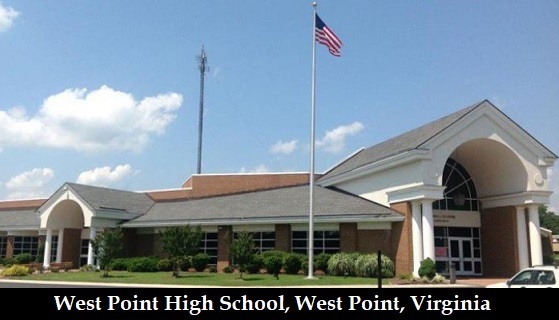 Graham Moomaw reports for the Richmond Times-Dispatch, Dec. 6, 2018, that the West Point High School in West Point, Virginia, fired French teacher Peter Vlaming for refusing to go along with the madness of ‘transgenderism’ by addressing a female 9th-grade student who imagines herself to be male with the Left-mandated “correct” male pronouns. Note that FOTM‘s recounting of Moomaw’s report for the Richmond Times-Dispatch refers to the biologically-female student as “girl,” “she” and “her,” instead of “boy” and male pronouns employed by Moomaw, which is now mandated for journalists in America’s insane Left-dominated media. Vlaming, 47, who had taught at the school for almost seven years after spending more than a decade in France, told his superiors his Christian faith prevented him from using male pronouns for a student he saw as female. In other words, the school relied on spies and informants. The student said that Vlaming made her feel uncomfortable and singled out. And the school’s administrators sided with her. 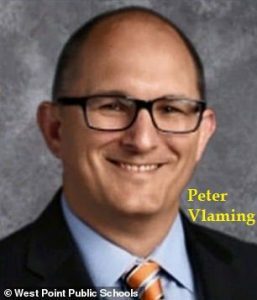 They recommended that Vlaming be fired for violating the school system’s nondiscrimination and harassment policies that were updated a year ago to include protections for gender identity. Vlaming’s hearing drew an overflow crowd, made up largely of parents and students who support him. They describe Vlaming as a model teacher who does extra duty as a soccer coach and bus driver. They had brought to the hearing “Justice for Mr. Vlaming” signs, but school officials forebade the signs in the meeting room with the ridiculous excuse that the small room did not have space for the signs. So the signs were left in a stack outside the meeting room’s doors. 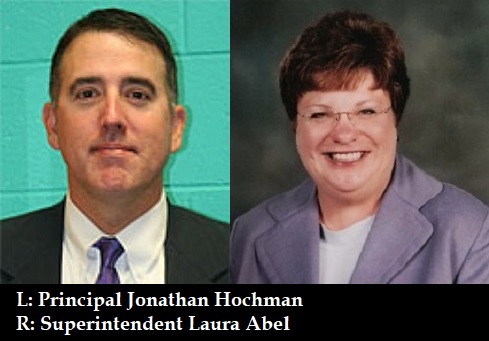 There is a petition asking Superintendent Abel to reinstate Vlaming. To sign, click here.